46-inch x 77-inch Double Sided Magnetic White Board Luxor MB whiteboard series are made from magnetic reversible whiteboards. Chrome finish on main frame. 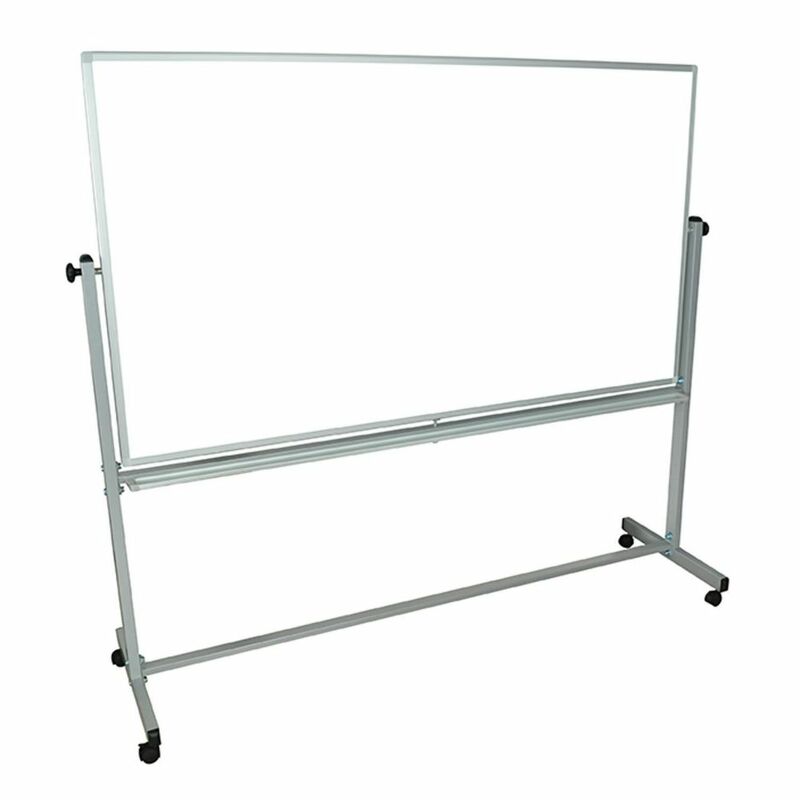 46-inch x 77-inch Double Sided Magnetic White Board is rated 3.5 out of 5 by 8. Rated 4 out of 5 by Fitzmagic from Very good white board and simple to assemble. Very good white board and simple to assemble. Rated 1 out of 5 by Andrew from The item was shipped damaged! ... The item was shipped damaged! Rated 3 out of 5 by Anonymous from Item met my expectations. ... Item met my expectations. Rated 4 out of 5 by HMS from It is v good except for the flipping mechanism. It is v good except for the flipping mechanism. Rated 1 out of 5 by HomeDepotCustomer from Was missing all the hardware. It's been sitting in pieces... Was missing all the hardware. It's been sitting in pieces for 2 week while I have waited for the manufacturer to "overnight" them to me. The first time I called it was not sent and the 2nd time I called it was backordered. I called yesterday and them finally provided me with a tracking number. Rated 5 out of 5 by Angie from It was exactly what our company needed. When the board arrived it was in perfect condition and th... It was exactly what our company needed. When the board arrived it was in perfect condition and the price was just right. The quality of the board is great. It is not to big nor to small. Rated 5 out of 5 by FrankSim from Good quality The surface can be cleaned easily and general construction quality is very good.